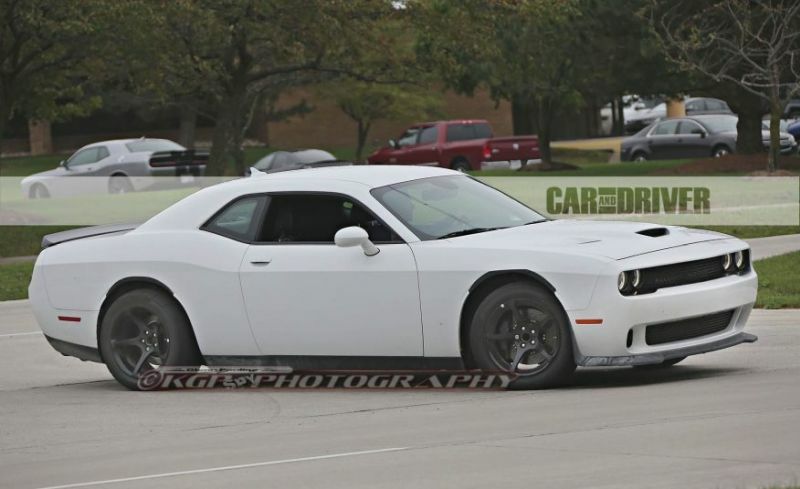 The ongoing Challenger is Chrysler’s, now FCA, offering in the muscle car segment. 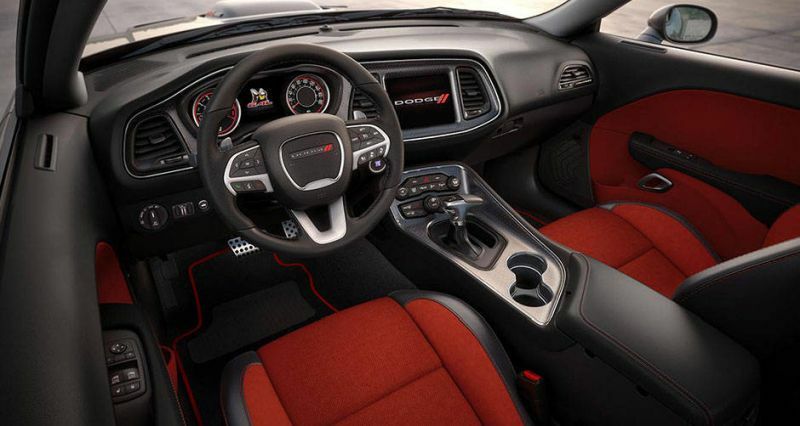 The car has been first revealed back in 2006 and released on the market in 2007. This basically makes it a decade old which is a lot longer than a car in this class should have been around. 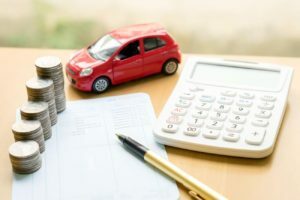 While the car still sells decently well, it is clearly left behind by any of its rivals and this will have to change in the near future. 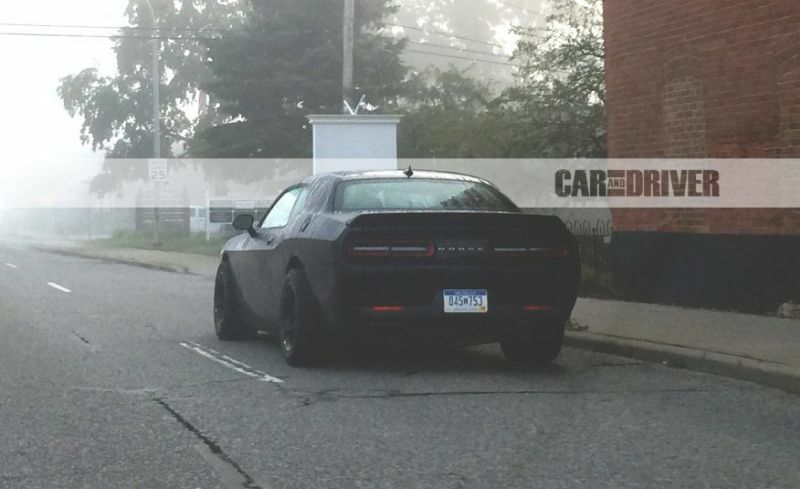 A new model is going to be released in the spring of 2018 but it seems that Dodge will release another version for this old model. 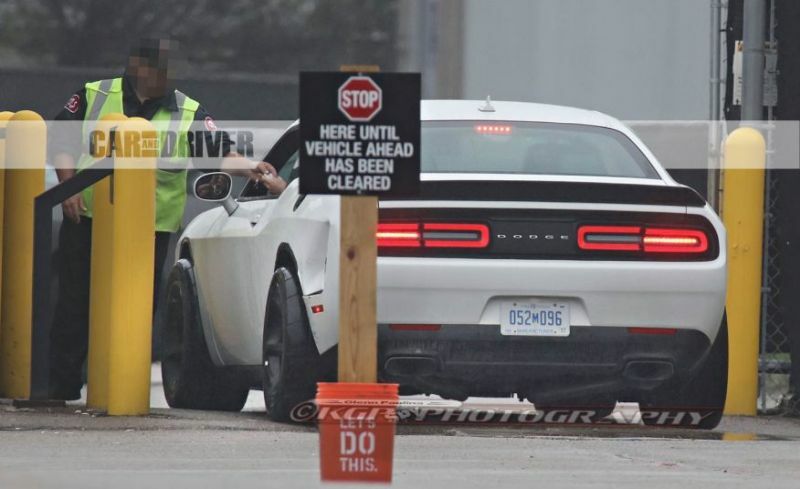 So far it seems that the new model is going to be the high performance ADR which will be first revealed in 2017. 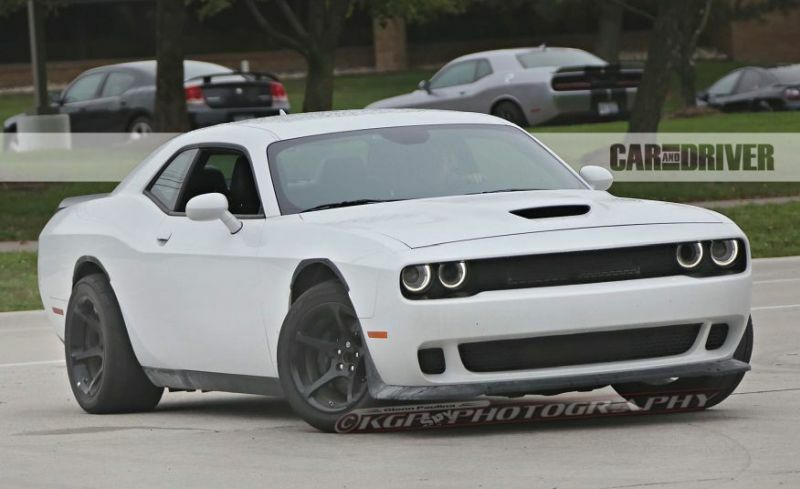 At this point it still is unclear if it will be sold as the 2018 Dodge Challenger or just as a 2017 model. 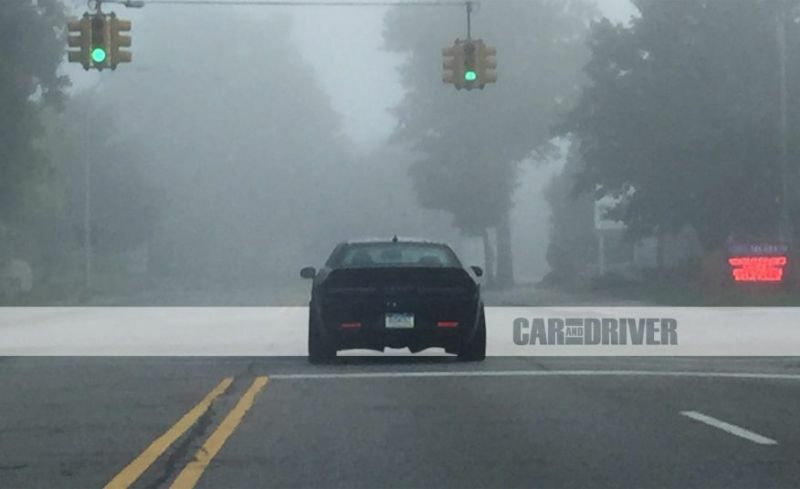 The age of the car is quite clear once you feel how it drives or how poorly it feels in comparison with the new Mustang or Camaro. 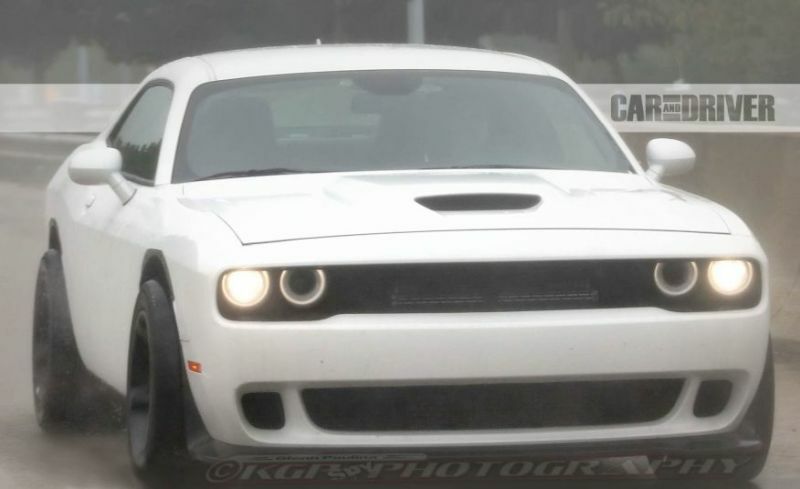 However, Dodge is looking to discontinue the model with a bang, this being the previously mentioned ADR. 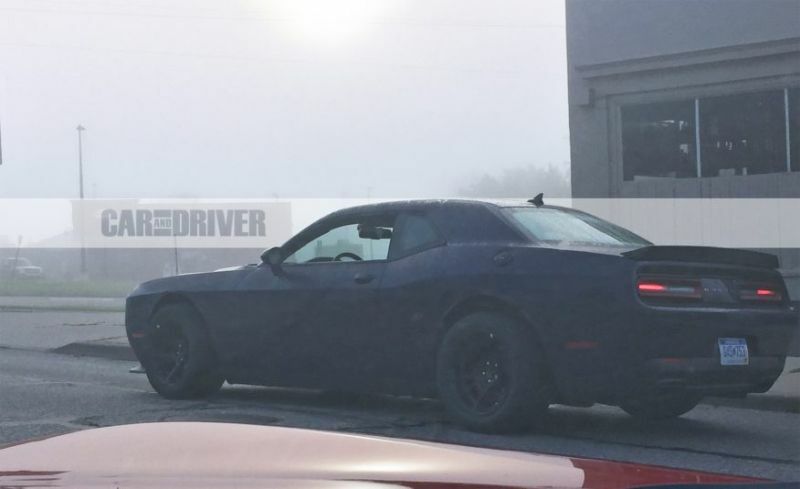 It seems that this will be a limited time model which will only be sold until the new version of the Challenger is going to be released. 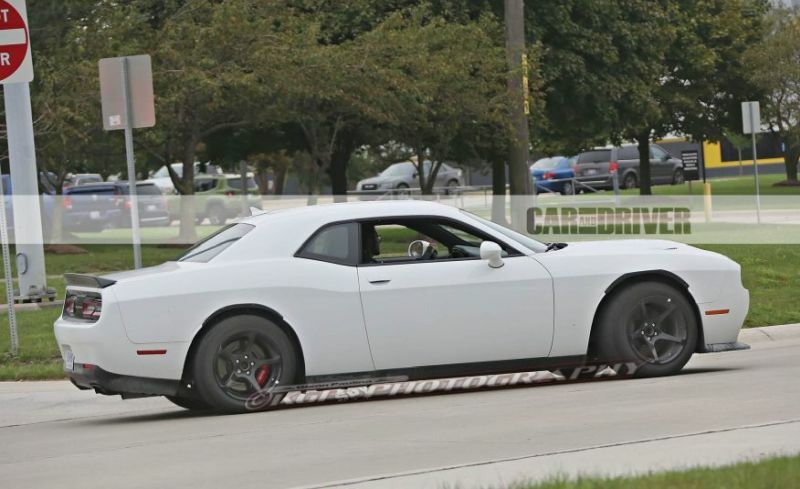 The price is currently unknown but expect it to be at least $5,000 more than the current Hellcat. 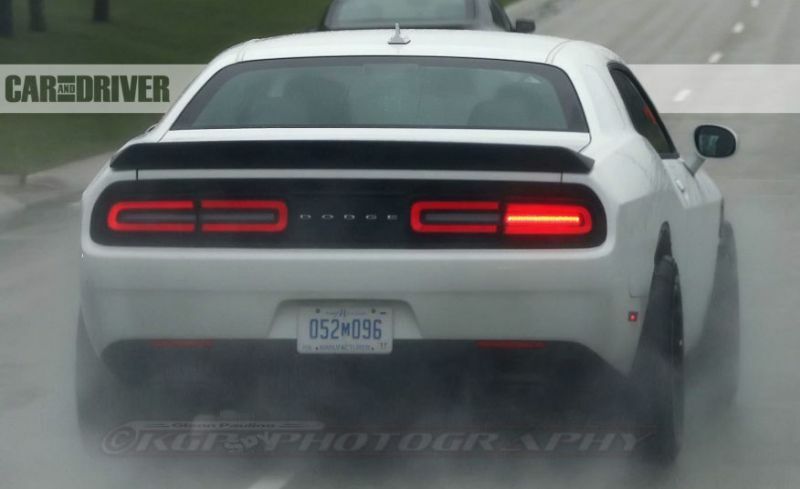 This has been the benchmark for straight line performance but more recently it has been passed by the newer Camaro ZL1. 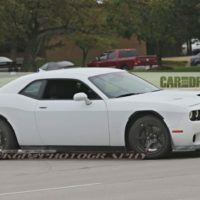 The upcoming 2018 Dodge Challenger ADR has been seen testing close to Michigan a few times and it is quite interesting. 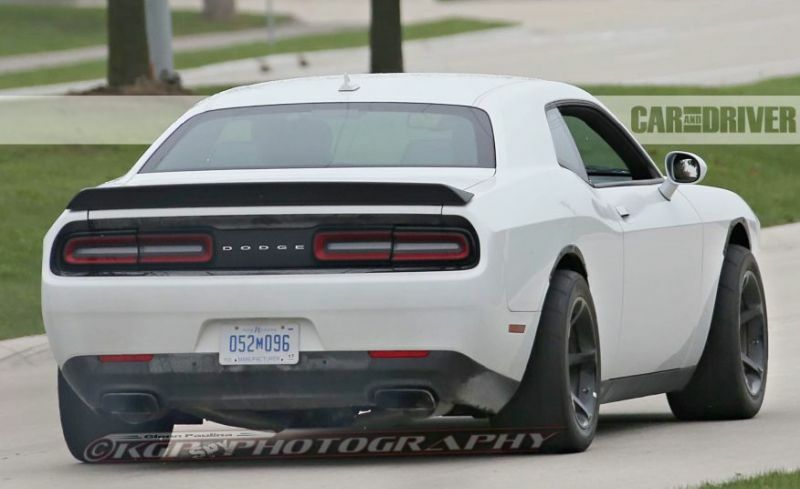 For starters, it is clear that the base of the car is the ongoing Hellcat. 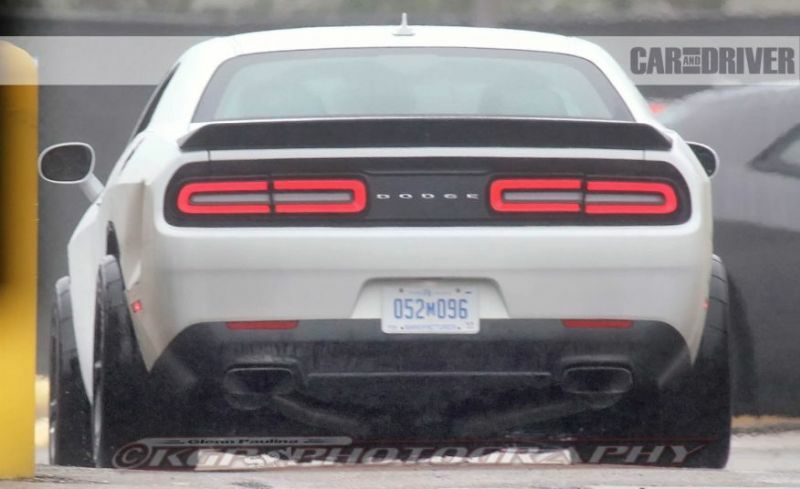 However, while the rear is roughly the same, there are new interesting bits added to the car. 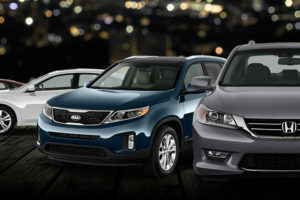 For starters, it uses much wider wheels than those on the regular model. 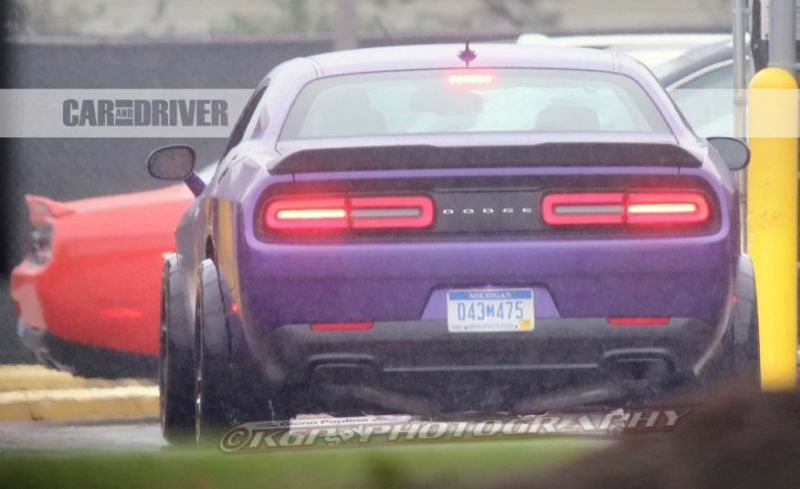 Some rumors reported that these may be wider than 325mm which would be quite impressive to say the least. 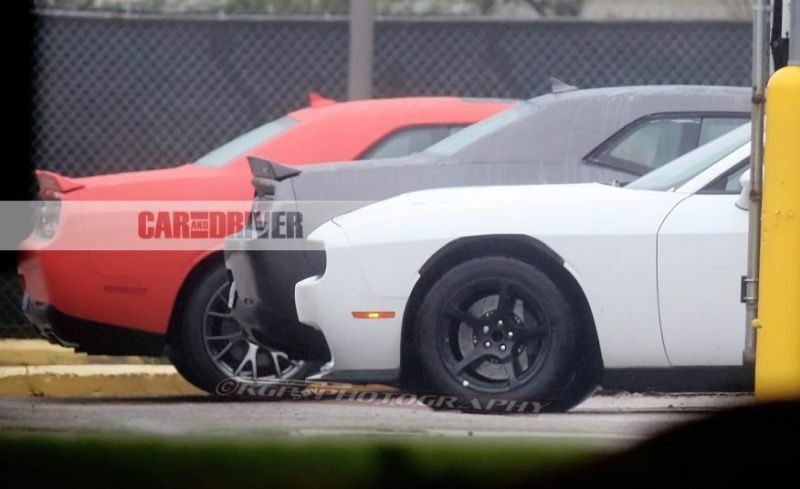 The car seems to have the same width on both the front and rear tires and there are two possible options. 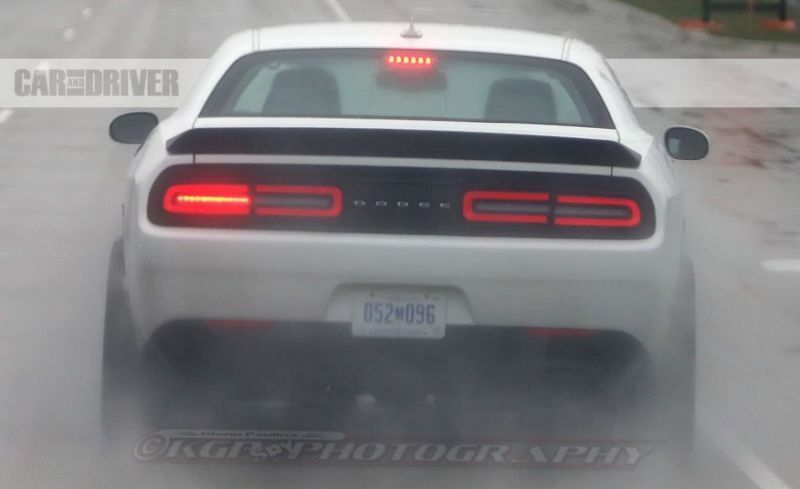 Either Dodge wants as much grip as possible or this is an all wheel drive car. 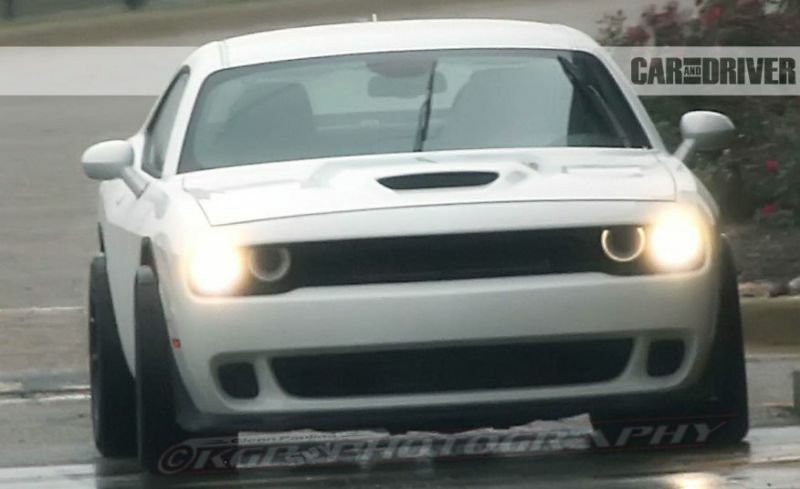 If the latter is true than this would be the spiritual successor of the car released at SEMA a while ago. 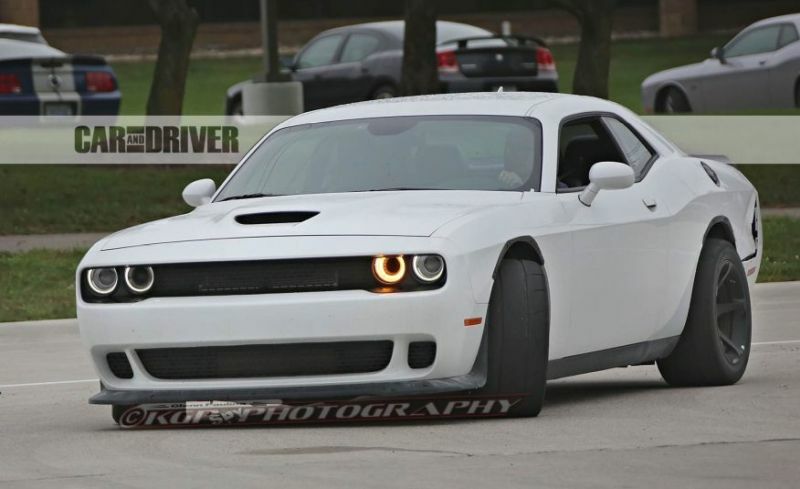 Even though the test mule doesn’t show it, the production car will more than likely get flared wheel arches. 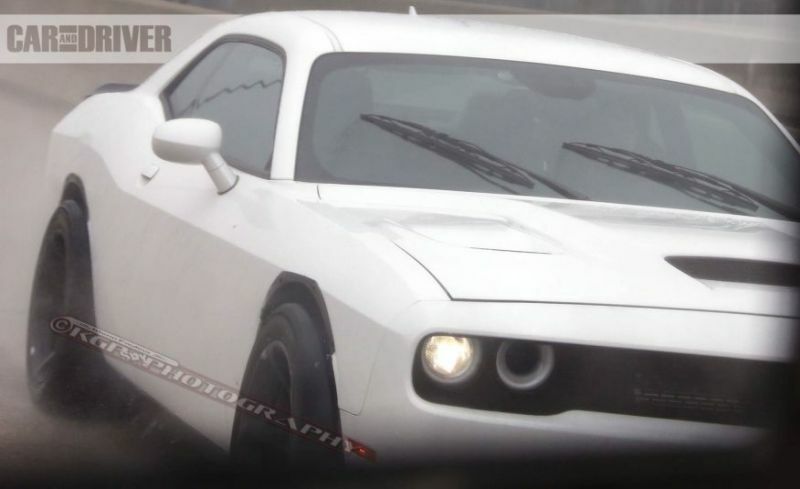 This will give the Challenger a rather interesting look which will make it seem smaller than it really is. 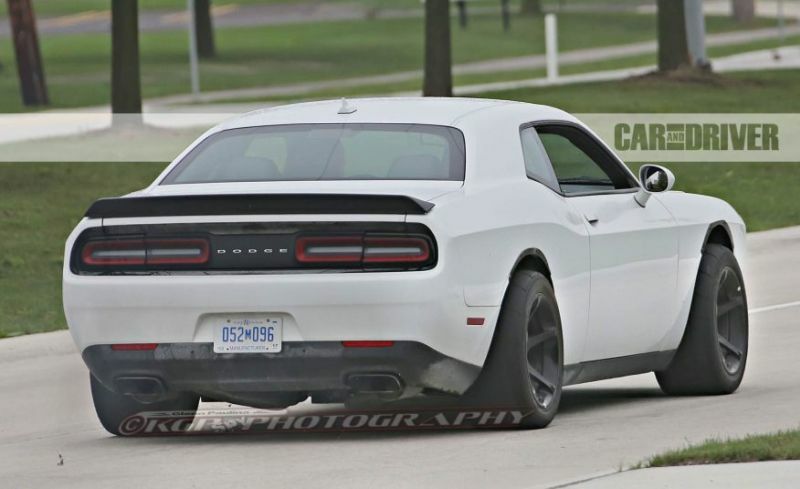 With the much wider tires, the 2018 Dodge Challenger ADR should be able to put a lot more of all that power to the ground. However, the wider tires are not enough to make it fast. 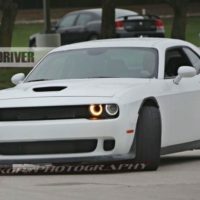 Considering how low the development car sits, it is safe to assume that Dodge will install a bespoke suspension system as well. Larger brakes might be in store as well but at this point this is unlikely. 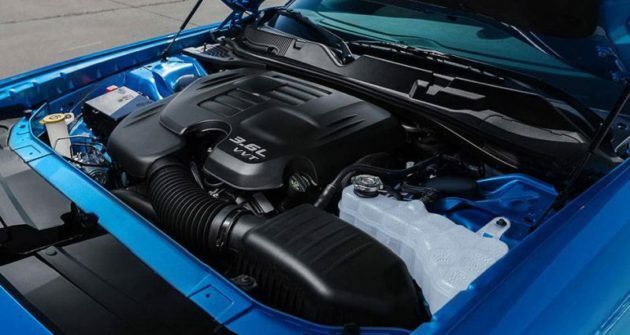 The engine of the ADR is more than likely going to be the same 6.2 liter supercharged V8 that can be found in the Hellcat. 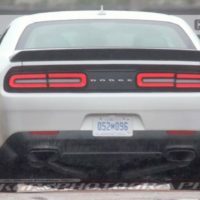 This currently makes 707 horsepower and 650 lb-ft of torque which is quite impressive considering there is no competition for it. 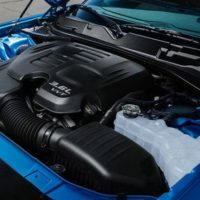 The engine will likely use the same transmission as before but this time around it should result in faster off-the-line performance. 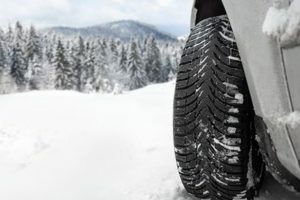 Even if the car will not receive an all wheel drive system, it will be faster thanks to the much wider tires. 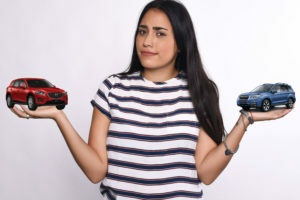 On top of that it will likely be able to get better figure-eight numbers and it should also be a lot more controllable than before.